Edited and written by David Gordon, senior fellow of the Mises Institute and author of four books and thousands of essays. Why is The Real Lincoln so much superior to Harry Jaffa’s A New Birth of Freedom? Jaffa offers a purely textual study: he considers, as if he were dealing with Aristotle or Dante, every nuance he can discover or manufacture in Lincoln’s speeches. Professor DiLorenzo follows an entirely different course. He compares Lincoln’s words with what he actually did, and the result is a historical rather than a mythological figure. Our author confronts those who portray Lincoln as the Great Emancipator with a simple but devastating question: If Lincoln was so much opposed to slavery, why did he not endeavor to abolish it peacefully through a scheme of compensated emancipation? "Lincoln did pay lip service to various compensated emancipation plans, and he even proposed a compensated emancipation bill (combined with colonization) in 1862. But the man whom historians would later describe as one of the master politicians of all time failed to use his legendary political skills and rhetorical gifts to accomplish what every other country in the world where slavery had once existed had done; end it peacefully, without resort to warfare" (p. 52). How might Jaffa and his fellow Lincoln idolaters reply? Perhaps they will allege that Lincoln judged compensated emancipation politically impossible to realize and for that reason did not pursue it. To this, DiLorenzo has a ready response: "Slavery was already in sharp decline in the border states and the upper South generally, mostly for economic reasons . . . there is evidence that there was growing political support within the border states for gradual, peaceful emancipation that would have ended slavery there" (p. 51). But what if Lincoln took a different view? Here I think one must answer that he did not even investigate the question. Would one not expect a sincere opponent of slavery to devote considerable attention to the feasibility of peacefully ending it? Further, "Roy Basler, the editor of Lincoln’s Collected Works, commented that Lincoln barely mentioned slavery before 1854, and when he did, ‘his words lacked effectiveness’" (pp. 54–55). As DiLorenzo ably argues, Lincoln’s real concerns lay otherwise. Throughout his political life, he enlisted under the banner of Henry Clay’s "American System." Proponents of this plan favored a strong central government in order to promote economic development. In classic mercantilist fashion, Clay and his supporters wanted the government to direct the economy through spending on "internal improvements," high protective tariffs, and a nationalized banking system. Our author does not confine himself to a mere description of Lincoln’s economic goals. He is an economist of distinction and readily locates the fallacies in these interventionist programs. As one would expect from someone trained in both public choice and Austrian economics, he at once seeks the self-interested motivations behind policies that profess to secure the national good. "[P]rotectionism . . . was a means by which a government could dispense favors to well-connected (and well-financed) special interest groups, which in turn provided financial and other support for the politicians dispensing the favors. It benefits both those industries that are protected from competition and the politicians, but it harms everyone else. . . . The same can be said for another element of mercantilism—tax-funded subsidies to politically well-connected businesses and industries. These subsidies generally benefit only those businesses that are lucky enough to get them, at the expense of the taxpayers generally" (pp. 56–57). Those inclined to defend Clay and his disciple Lincoln on the grounds that government must provide us with "public goods" such as roads would be well advised to read DiLorenzo’s discussion of the internal improvements voted by the Whig-dominated Illinois legislature. The Illinois program proved a complete financial disaster, and other states that invested in internal improvements fared no better. "What all this suggests is that the Hamilton/Clay/Lincoln agenda of government subsidies for road building and railroad corporations was wildly unpopular throughout the nation and had been an abysmal failure in every instance" (p. 83). The financial exactions of tariffs and internal improvements fell with especial force on the South. The states in this region depended heavily on trade, and as a result paid most of the tariffs. "Since they were so dependent on trade, by 1860 the Southern states were paying in excess of 80 percent of all tariffs, while they believed that most of the revenue from the tariffs was being spent in the North. In short, they believed they were being fleeced and plundered" (p. 126). Small wonder that the South was not prepared to put up with Lincoln’s plans for even higher tariffs, and debate over secession stressed these financial exactions. Like Charles Adams, in his excellent When in the Course of Human Events, DiLorenzo traces the onset of war to Southern resistance to the nationalist economic program, and Lincoln’s determination to enforce it. "To a very large extent, the secession of the Southern states in late 1860 and early 1861 was a culmination of the decades-long feud, beginning with the 1828 Tariff of Abominations, over the proper economic role of the central government. Lincoln and the consolidationists wanted to construct a massive mercantilist state, whereas it was primarily Southern statesmen who always stood in their way. These statesmen apparently believed that secession was their trump card" (pp. 128–29). DiLorenzo is amply prepared for the objection that even if the Southern states justly opposed Lincoln’s economic plans, they had no legal right to secede. In this view, Lincoln had a constitutional duty to preserve the union by any means necessary. Quite to the contrary, DiLorenzo shows that dominant legal opinion granted states the right to depart. Nor was this exclusively a Southern view of the matter. During the War of 1812, many in New England favored abandoning the union; and our author, relying on the research of Howard Cecil Perkins, points out that the majority of newspaper editorials in the North from late 1860 to mid-1861 recognized the right of secession. Once the war began, Lincoln conducted himself as a thoroughgoing dictator, and DiLorenzo gives a full account of the president’s suppression of civil liberties. Here we are on familiar ground, but our author shows great dialectical skill in prosecuting his case. I found particularly impressive his identification of a line of defense essayed by some of Lincoln’s advocates. Sometimes, writers on Lincoln and civil liberties describe in great detail Lincoln’s suppression of liberty, but conclude with praise for his "moderation." DiLorenzo with great force notes the discrepancy between evidence and conclusion. Among the guilty is the foremost of all historians who have written on the topic, James G. Randall. "In chapter after chapter of his 595-page book Constitutional Problems Under Lincoln, he [Randall] dutifully describes not mere problems but the destruction of constitutional liberty. He concludes almost every chapter with a string of excuses. . . . The establishment of a dictatorship was not the overthrowing of the Constitution but merely ‘out of keeping with the normal tenor of American law.’ Nor were thousands of arbitrary arrests an example of tyranny but only ‘unfortunate,’ and made, after all, with ‘the best of motives’ " (p. 160). Incredibly, the same pattern recurs among Lincoln’s partisans when they describe the gross violations of international law committed, with Lincoln’s entire approval, by Generals Sherman, Sheridan, Butler, and many others. After his bombardment of Atlanta, "Sherman’s army went on its usual binge of looting and burning. . . . It has been estimated that more than 90 percent of the city was demolished" (p. 186). As if this were not enough, Sherman expelled the remaining civilian residents from the city. Nevertheless, Mark Grimsley, a leading military historian, "downplays the suffering of the citizens of Atlanta by saying that ‘only’ a few thousand of them were evicted from their homes" (p. 187). In the face of Sherman’s march to the sea and Sheridan’s burning of the Shenandoah Valley, Mark Neely writes that "Sherman and his ‘fellow generals waged war the same way most Victorian gentlemen did, and other Victorian gentlemen in the world knew it.’ Total war, according to Neely, was just not Sherman’s cup of tea" (p. 198). To attack Sherman and his cohorts is fortunately not very controversial, even in these times of abject Lincoln worship; but to state the obvious clearly is no small virtue. Professor DiLorenzo undertakes a much more difficult task, though, in his treatment of Reconstruction. Here he undermines completely the arguments of the dominant approach to this period among contemporary American historians. Early in the twentieth century, W. A. Dunning and his students at Columbia University portrayed the Reconstruction period as, in the words of Claude Bowers, a "tragic era," dominated by corruption. The Republican Party, easily controlling new black voters, established puppet governments in the conquered Southern states. The party "used the power gained from this to plunder the taxpayers of the South for more than a decade after the war ended" (p. 202). One might think such blatant corruption hard to defend, but a group of historians began the task in the 1930s. Our author rightly notes that many of these historians were Marxists, but this is a restrained understatement. In fact, several of this movement’s leading lights, such as James Allen and W. E. B. DuBois, found Lenin greatly to their liking; and the Communist Party actively propagated the new line. 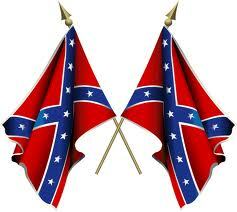 By smearing the older view as racist and pro-Southern, the new partisans triumphed. DiLorenzo will have none of this nonsense, and he patiently dissects their sophisms. A chief method of the group is the misleading comparison. "These Marxist and ‘liberal’ revisionists argue that Reconstruction wasn’t all that bad compared to, say, what happened when the Japanese invaded Nanking in the 1930s. . . . After all, Kenneth Stampp has argued, there were not even any mass executions of former Confederates after the war" (p. 203). The unstated premise of Stampp’s argument is that Southerners were enemy aliens who deserved whatever their Northern masters dished out to them; if so, anything less than total terror counts as merciful. Had Stampp, no doubt preoccupied with World War II, not presupposed this, he would have seen that a bad policy does not become good because worse things are possible. In like fashion, Eric Foner, the reigning pontiff of the new school, has some good words for the Radicals’ corruption. Was not the situation even worse in the North? DiLorenzo’s reply exactly strikes its target: "The fact that corruption was even worse in the North proves the Dunning School’s point; since massive corporate welfare was relatively new to the South, it hadn’t quite equaled the North in terms of political corruption. The expansion of government, which Reconstruction facilitated, caused such corruption" (pp. 231–32). This outstanding book has left me at wit’s end. As everyone knows, I like to charge authors with having committed logical fallacies; but Professor DiLorenzo offers me almost nothing. At only one point do I think I have caught him out. In reply to those who criticize Dunning for racism, since he doubted the wisdom of at once extending the vote to uneducated blacks, DiLorenzo notes that these same critics "virtually deify" Lincoln (p. 204). But Lincoln was a white supremacist of the first order. To be consistent, must not those historians who dismiss Dunning’s interpretations as racist "be just as skeptical of what has been written about Lincoln over the past 100 years and even reevaluate much of their own scholarship?" (p. 204). So drastic a conclusion does not follow. Consistency requires these historians only to discount Lincoln’s racist remarks; they may admire Lincoln for other reasons, without sinning against logic. A few minor points: it should have been noted that some states opposed the Virginia and Kentucky Resolutions. (p. 111); not all Whigs favored the American System: John Tyler was a Whig as well as Henry Clay (p. 235); and the author of the article discussed on p. 231 was Stanley Coben, not "Cohen." My frustration at being able to find so little wrong with the book will not prevent me from congratulating Professor DiLorenzo for a magnificent contribution to history, vital reading for anyone concerned with the defense of liberty.